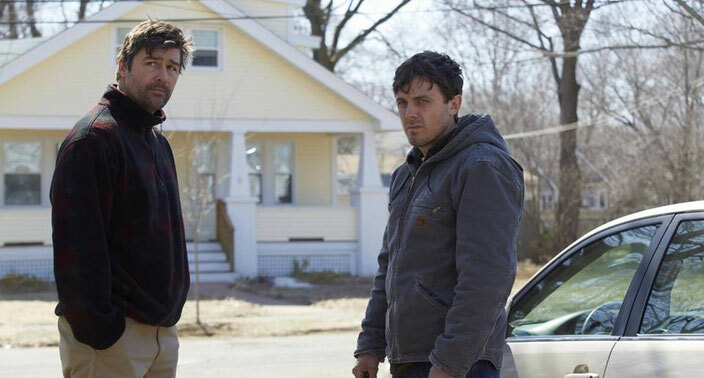 After the sudden death of his older brother Joe (Kyle Chandler), solitary janitor Lee Chandler (Casey Affleck) returns home to Manchester-by-the-Sea. He is shocked to find that Joe has made him the sole guardian of his 16 year old nephew Patrick (Lucas Hedges). Back in the community where he was born and raised, Lee reconnects with his ex-wife, Randi (Michelle Williams), and finds himself haunted by the demons of his past. Manchester By The Sea is a poignant, melancholic drama from writer/director Kenneth Lonergan. Featuring a truly superb performance from Casey Affleck, the film explores the impact of tragedy, loss and grief. However, amid the sadness lies unexpected bursts of laugh out loud humour (the chemistry between Affleck and Hedges is wonderful) and an undeniable sense of hope. 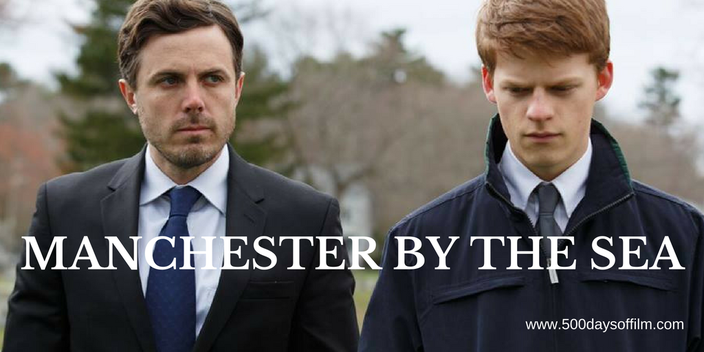 Given its tragic story, one might expect scenes of high drama in Manchester By The Sea. It is, therefore, surprising to find a distinctly understated atmosphere. The film is infused with powerful emotions but, bar a couple of key moments, they are repressed, emphasizing Lee’s isolation and detachment. Manchester By The Sea is made all the more powerful for this subtlety, its performances all the more impressive. Affleck’s nuanced portrayal is astounding - it is heartbreaking to watch Lee struggle with his demons. Meanwhile, Michelle Williams is incredible as Randi. While on screen for mere minutes, her performance packs a hefty emotional punch, particularly when she bumps into Lee during the movie’s third act. Place is vitally important in Lonergan's film. Brought to life by director of photography Jody Lee Lipes, Manchester By The Sea is beautiful without calling attention to itself. Every scene feels natural and authentic. We accompany Lee and Patrick as they drive back and forth to different locations, each one weighted by memories that emerge via a series of devastating flashbacks. In this way, (accompanied by a powerful, occasionally intrusive score by Lesley Barber) we learn about Lee’s relationship with Joe, Patrick and Randi. We also piece together the tragedy in his past and understand the emotional cost of his return. Having created such an understated atmosphere, the film's rare moments of raw grief feel incredibly powerful and utterly heartbreaking. These are the scenes that linger long after the credits have rolled. Having revealed his mysteries, Lonergan could have concluded Manchester By The Sea with a convenient, ‘happy’ ending. Thankfully, he leaves us with a poignant and authentic final scene - one full of sadness and hope. While on the set of 2011’s The Adjustment Bureau, Matt Damon and producer, Chris Moore, came up with the idea behind Manchester By The Sea. Damon was going to direct and star in this film and approached Lonergan to write the script. When Damon’s schedule forced him to pull out of the project, Lonergan stepped in to a story that he has spent two years creating. Watch out for the rather curious cameo from Matthew Broderick. Manchester By The Sea was shot in the Cape Ann region of Massachusetts. Have you seen Manchester By The Sea? If you have, what did you think of Kenneth Lonergan’s film? Let me know! Just leave me a comment in the box below.